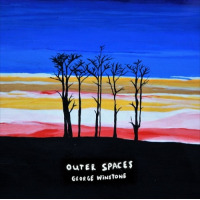 Alto saxophonist and composer George Winstone's debut recording stands out from the crowd. Technically it's an EP but at 33 minutes it's not very different in duration from some LPs; it's actually the same length as Coltrane's A Love Supreme and four minutes longer than (Albert Ayler's Spiritual Unity . Winstone, who was born in 1994, studied for a BMus (Hons) in jazz saxophone at London's Trinity Laban Conservatoire of Music and Dance under the direction of altoist Professor Martin Speake. He's already worked with drummer and bandleader Emmanuel Franklyn Adelabu and taken technique guidance from the great alto saxophonist Peter King. The moderately paced build-up of the repeated eight-note unison riff on "Faith" belies the surprising electricity generated by Winstone's alto. At times, his exuberant solo begins to emulate the fluent playing of that super-fast British saxophonist, Tubby Hayes. The gentle ballad "Peace For Chloe" however, demonstrates an entirely different side of the saxophonist. Winstone can play with expressiveness on slow tempo numbers too, but his solo speed here oscillates between largo and molto allegro. "One For Kenny" adopts a stately pace and a sumptuous, hypnotic theme. It's also infused with confident, thoughtful performances, particularly Charlie Stacey's swirling piano lines, throughout its undulating journey. Evidenced by this first outing, Winstone is undoubtedly a future star in the making. Track Listing: Faith; Peace For Chloe; One For Kenny. Personnel: George Winstone: alto saxophone; Charlie Stacey: piano; Mikele Montolli: bass; Jamie Murray: drums.